With summer fast approaching, we're dreaming of dining alfresco, wearing floral dresses, lounging by the pool all day, and, most importantly, traveling. Translation: Our minds are entering vacation mode. If you're also craving an escape, you're in the right place. Indeed, we created a dream travel guide complete with 10 of the best resorts around the world to help you start planning. Whether you're looking for luxurious destination spas and retreats where you can reset and relax, design-savvy beach locales where you can indulge and unwind, or a boutique resort with plenty of exciting off-site outdoor adventures, this guide will definitely point you in the right direction. Ready to see all the potential vacation backdrops that await you? Learn about the 10 best resorts in the world below and book your trip for a week of bliss. What Sets It Apart: This coral-colored villa has all the coastal New England charm you'd expect in Nantucket but with a tropical flair. The best part is that it's quiet and small. There are only nine suites, so it's ideal for a romantic getaway. When you aren't soaking in the sun at the pool or on the pink-sand beach, ask the hotel to help you organize some water sports, book a horseback ride on the shore, or book an afternoon of swimming with pigs in the ocean before riding your pastel-hued gold cart around this endlessly charming island. What Sets It Apart: Trade in an oceanside getaway for a sea of pink and orange sands, stylish and airy tents, stargazing, and wide-open days of lazing around in the Sahara Desert. If you've always wanted to see the Sahara, glamping is the way to go, especially if you opt for this stylish destination with great guides and service. Though you probably wouldn't want to stay here for your whole visit to Morocco, it's the ideal resort getaway to add to your itinerary if you're traveling to Marrakech, and it's truly a once-in-a lifetime experience. What Sets It Apart: Visit wineries, unwind in the countryside, and soak in the beauty of the surrounding landscape. Situated on a private nature reserve overlooking Torres del Paine National Park, each private villa is architecturally stunning, yet the interiors are cozy and approachable, making it the perfect retreat after a day of exploring this magical, otherworldly destination. There's also a private reserve with foxes, sheep, and pumas, to name a few. What Sets It Apart: With so many cool new spots popping up in Mexico, it's hard to decide which one we want to visit first. If you want to venture down to Baja, we're loving Hotel San Crístobal in Punta Lomas. It's affordable without skimping out on any of the luxuries you'd expect from a cool, relaxing beach destination. So if you want to hang out by the Pacific Ocean with a margarita in hand and well-curated, on-trend interiors, here's the resort for you. What Sets It Apart: Amanjiwo is an incredible resort set in the middle of the Java rainforest. It's surrounded by rice paddy farmlands, green hills, and volcanoes, making the backdrop for your vacation truly breathtaking. The designs have a strong sense of place and speak to the local surrounding, both of which inspire a sense of inner calm and relaxation. The suites have sunken outdoor bathtubs and private gardens, and the spa offers a ton of unique treatments, making it a heavenly resort for honeymooners and wellness seekers. What Sets It Apart: If Iceland is on your travel bucket, you've likely heard a lot about the Blue Lagoon, and while you should definitely check it out, we recommend staying at a chic hotel with geothermal waters, spa treatments, and delicious culinary experiences on site. Enter Deplar Farm. The property is owned by Eleven Experiences, a boutique travel company that delivers artfully decorated boutique resorts paired with adventurous travel opportunites unique to the given locale. 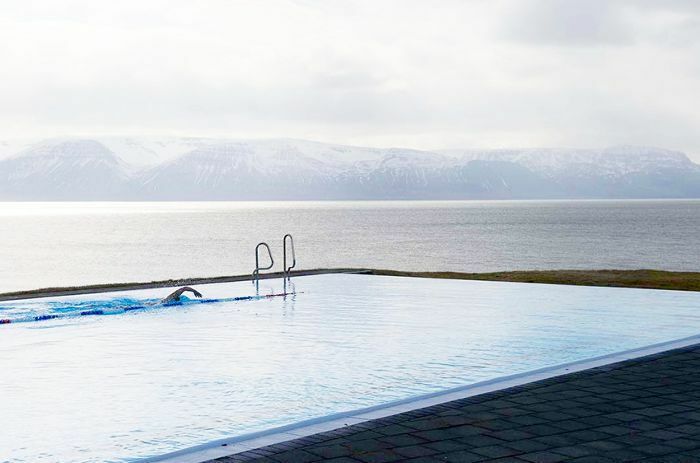 Here, you can heli-ski, sea kayak, whale watch, see the northern lights, and relax in the sauna or volcanic hot springs. What Sets It Apart: This Portuguese resort looks like a combination of a luxury storefront and a world-famous art gallery, all set against an ocean backdrop. It has the design-savvy elements and natural landscapes of both Europe and North Africa. When you're not admiring the beautiful design of the resort, go to Praia de Benagil, a breathtaking beach with a green-and-pink cave, clean water, and fine golden sand, or go to Cacela Velha in Eastern Algarve. It's known for turquoise lagoons, pink sandbars, and spacious shores to relax on under an umbrella or in the sun. What Sets It Apart: Just outside of Cape Town in the town of Robertson, this chic boutique hotel is full of understated soul and low-key luxury, making it the perfect place when you stay somewhere with a little glamor but without all the frills of a large resort. There are only 10 rooms, each with a unique design and charm. While you're here, you'll enjoy unbelievable service amid sprawling gardens, on-site gourmet eateries, and views of scenic mountain ranges. It's also located in a great wine-producing agricultural region, so if you're a foodie or sommelier in the making, you'll definitely enjoy your stay. What Sets It Apart: European islands have a ton of great resorts, so it can be difficult to find the best of the best. But if you're looking for a hillside getaway with gorgeous ocean views, you can't go wrong with a Greek getaway. As far as accommodations, Kirini will not disappoint. You'll enjoy soaking in the glorious sunshine while looking out at the idyllic Aegean Sea. There's more where that came from. Here are 12 more of the best resorts in the world to add to your luxury travel bucket list.